Medical Imaging is central to disease prevention, early detection, diagnosis, treatment, patient care and at all levels of heath care. 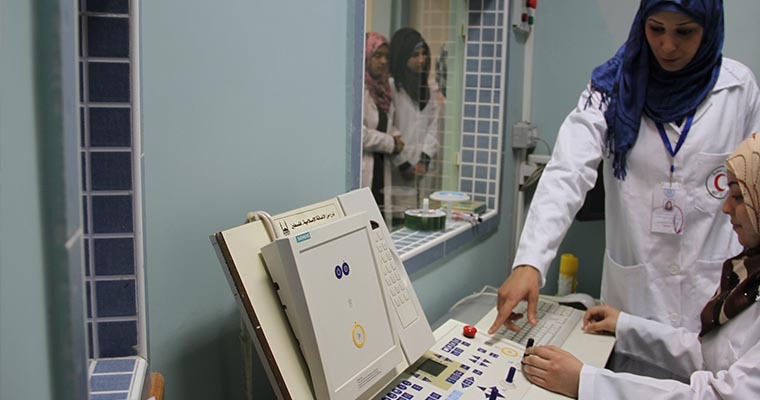 The Department's courses deal with both the theoretical and practical aspects as well as clinical training in hospitals and medical imaging centers. The department trains future practitioners who are dedicated to providing patients with a comfortable, safe and professional imaging examination, using the latest imaging technology. Computed Tomography (CT) imaging, Magnetic Resonance (MR) imaging, Nuclear Medicine (NM) imaging and Ultrasound (US) imaging and X-ray imaging are all very important tools in Medical Imaging. Al Azhar University-Gaza is privileged to have the most distinctive academics and researches who are known for their excellence in groundbreaking research and exceptional teaching, and for their enthusiasm for engaging students in a shared intellectual journey.